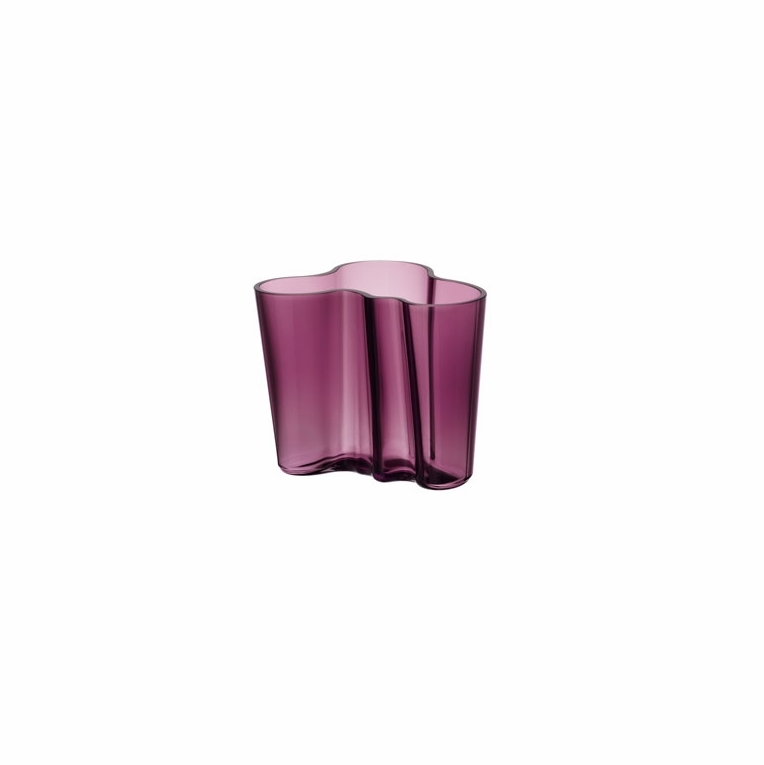 Home > iittala Aalto Dark Lilac Vase - 3-3/4"
New to the Aalto vases in 2012 is the refined color of Dark Lilac. The deep shade of purple is a delicate and beautiful hue that catches the light and lets it play as it runs around the curved edge of the Aalto vase, bringing out the lights and darks of the purple as it passes through. Ideal for housing unique floral arrangements or sitting as a statement piece all on its own, this Dark Lilac Aalto Vase is a unique addition to any home d�cor. Reviews of iittala Aalto Dark Lilac Vase - 3-3/4"
Questions & Answers for iittala Aalto Dark Lilac Vase - 3-3/4"